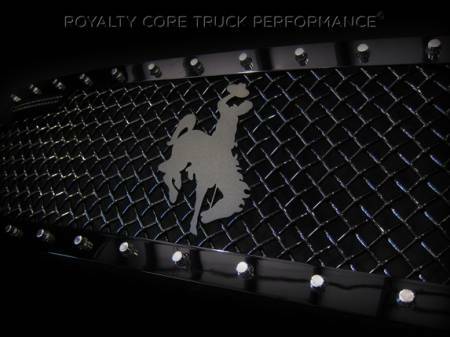 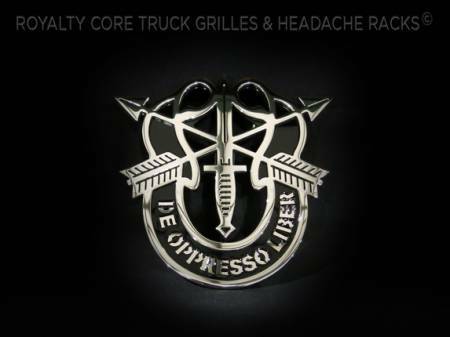 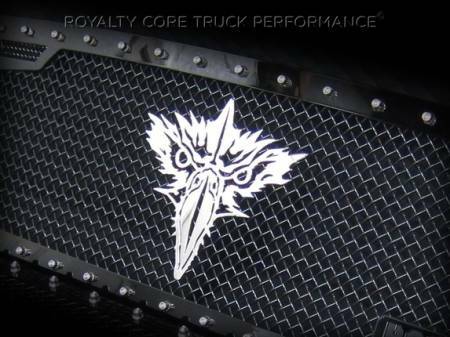 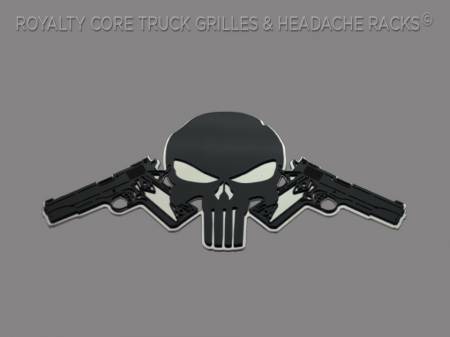 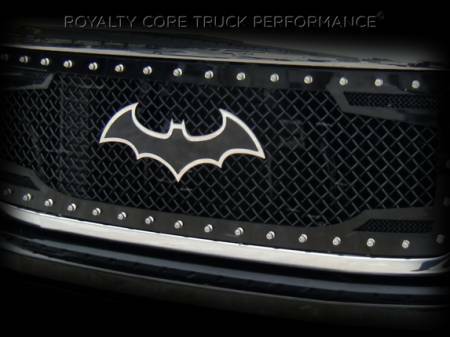 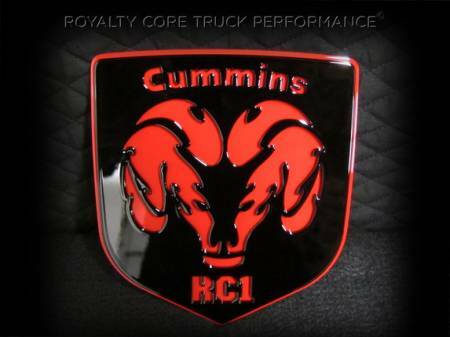 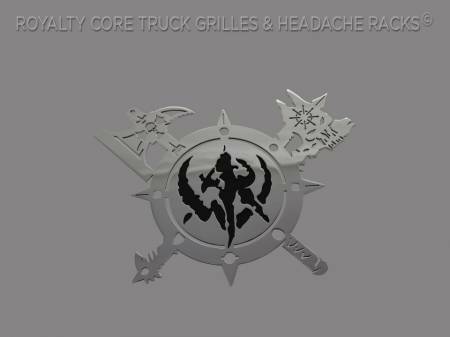 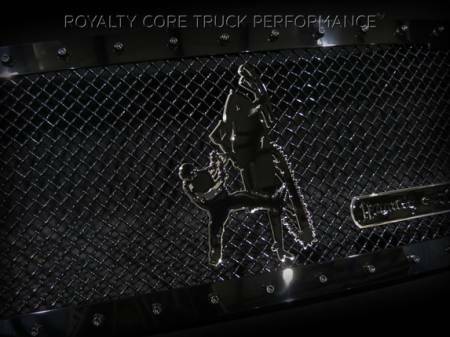 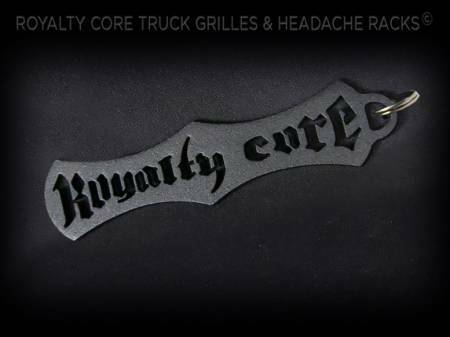 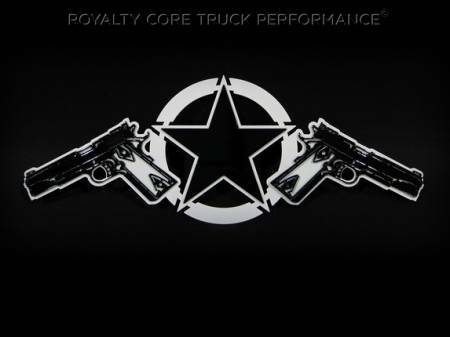 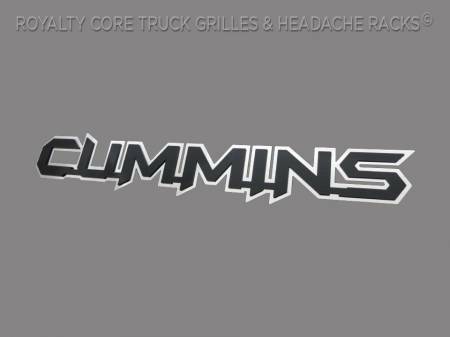 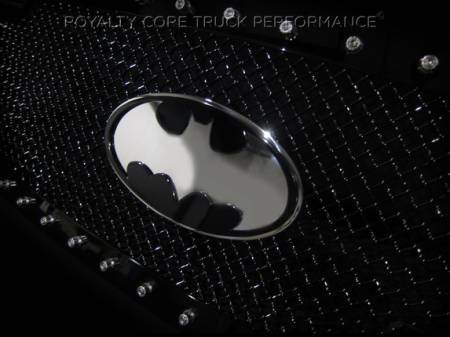 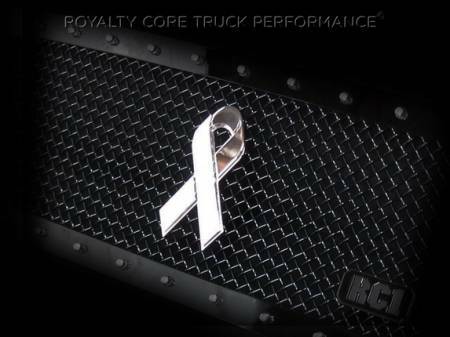 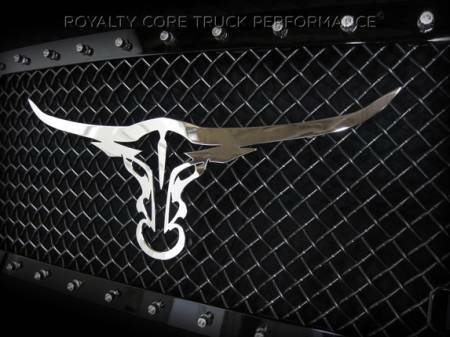 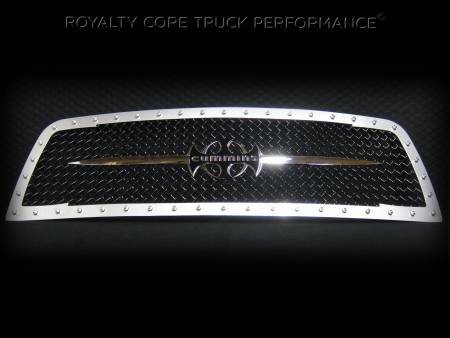 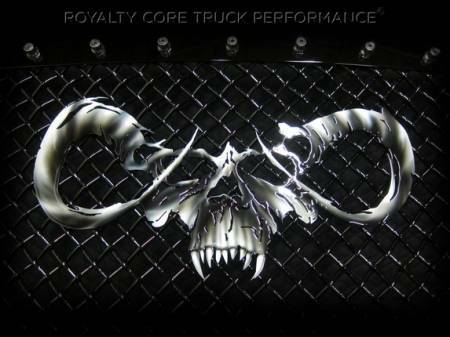 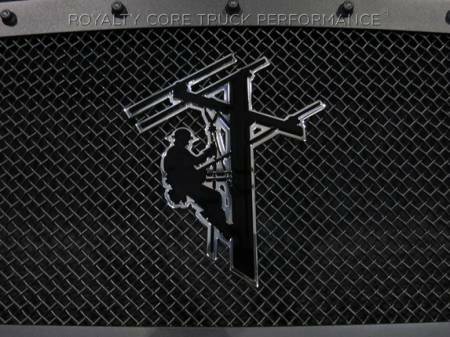 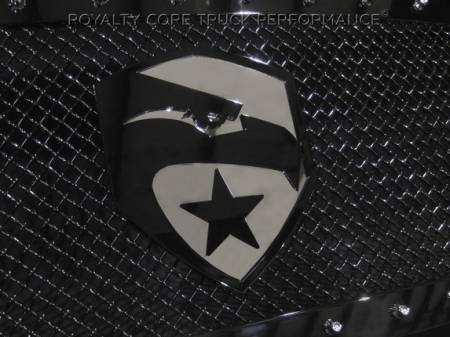 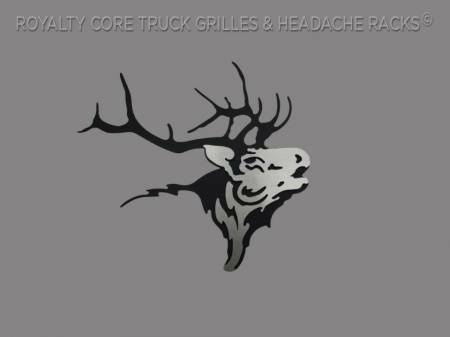 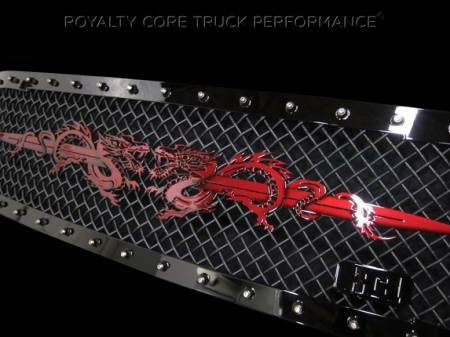 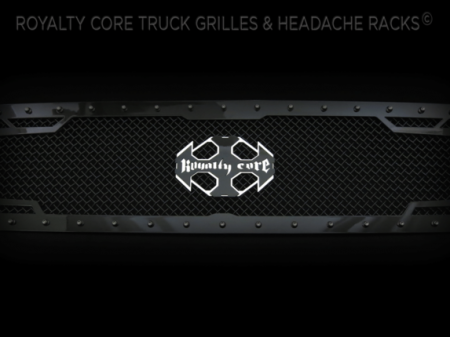 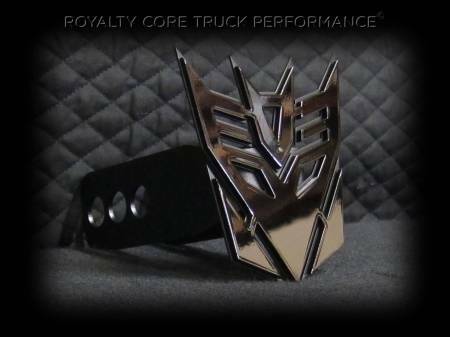 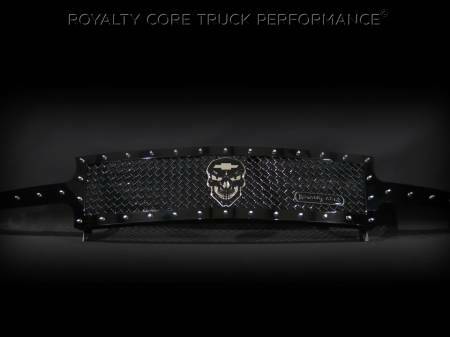 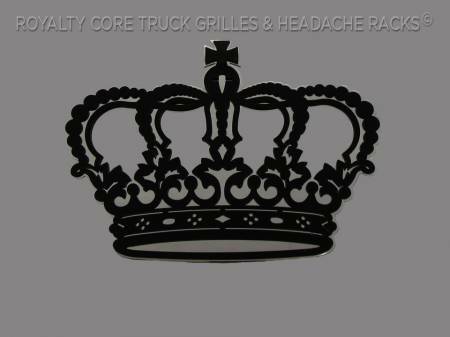 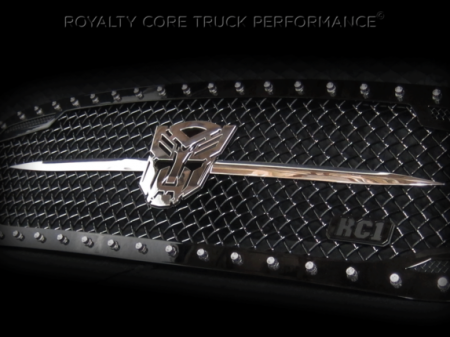 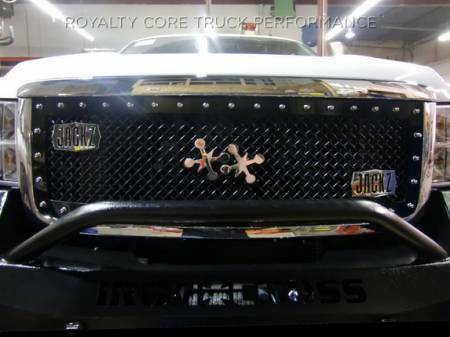 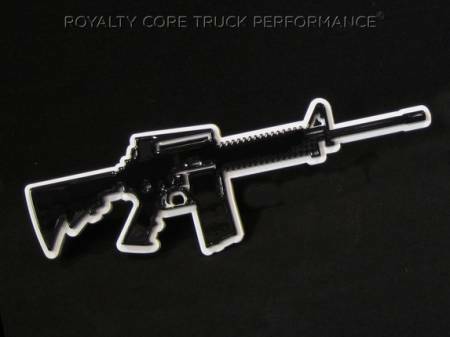 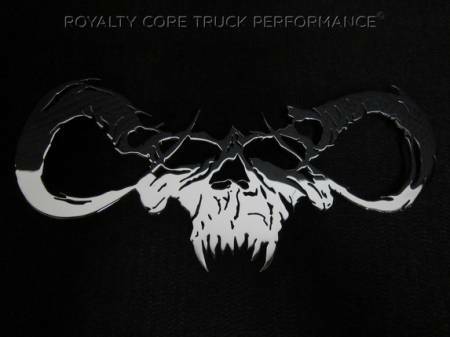 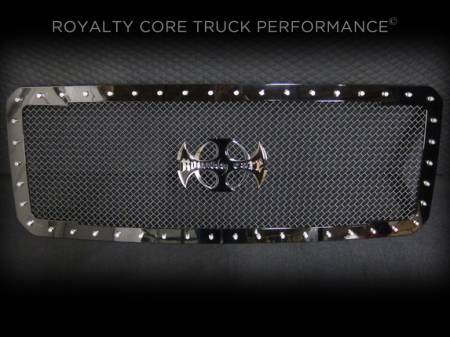 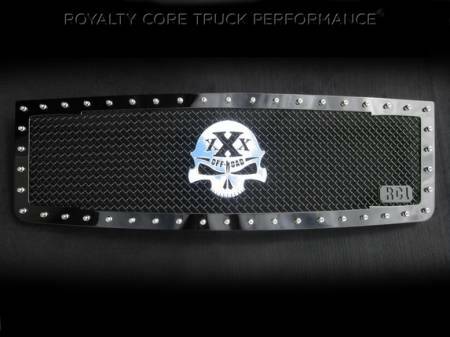 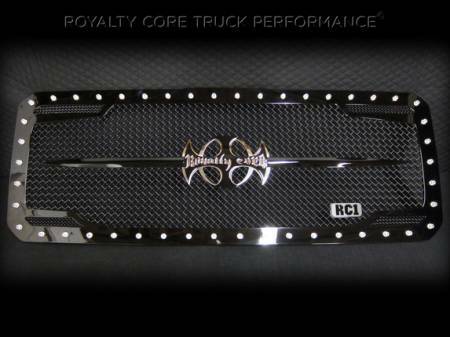 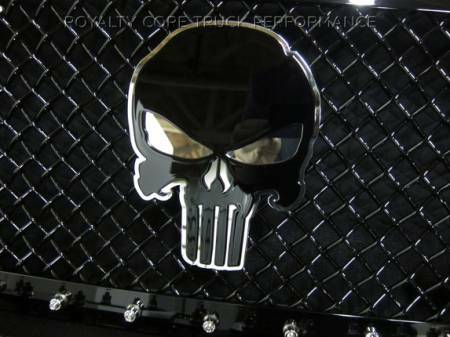 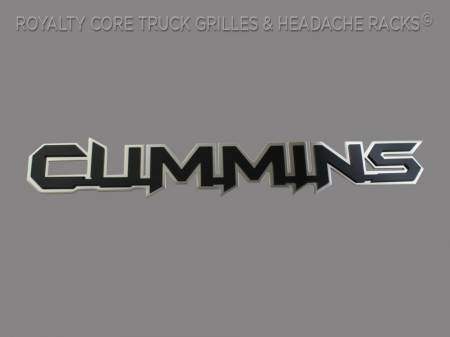 Out of all custom truck emblems out there, the Royalty Core brand is among the best. 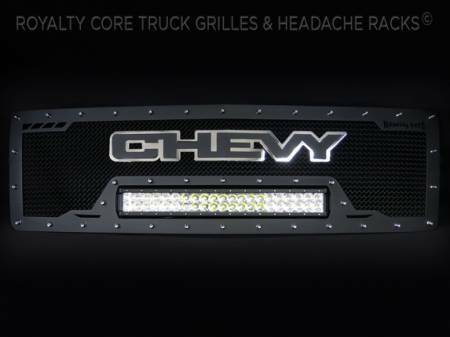 In fact, we carry the industry’s largest line of customized emblems, logos, and grilles. 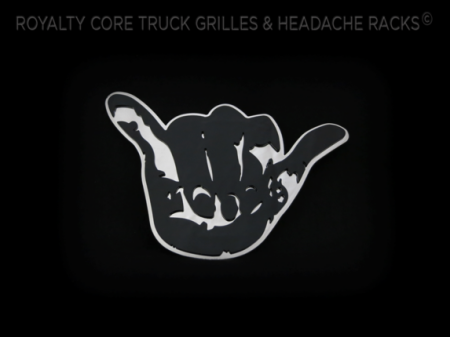 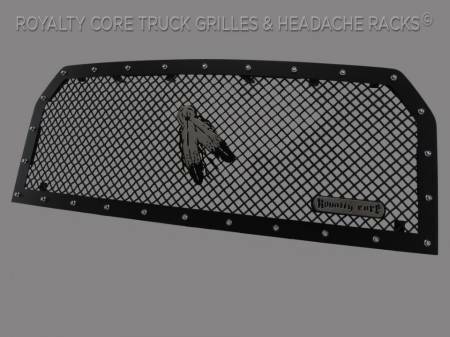 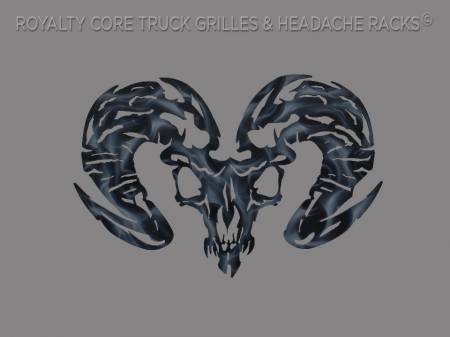 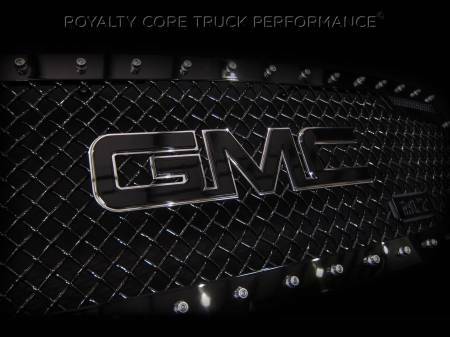 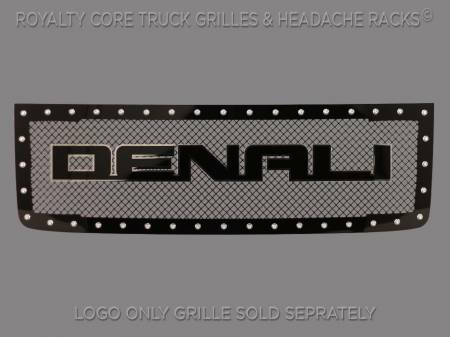 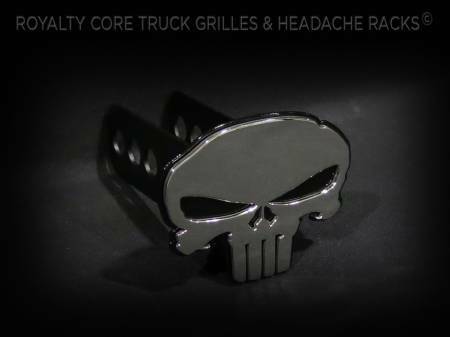 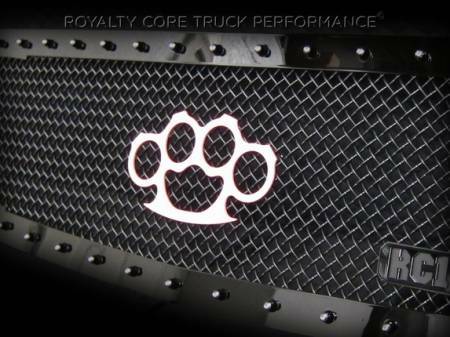 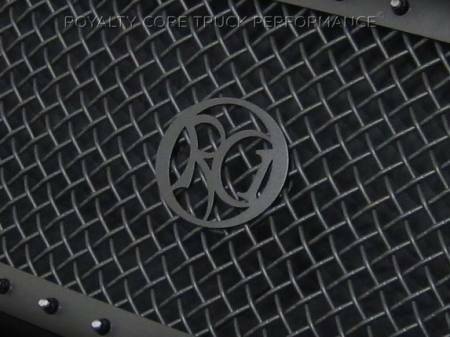 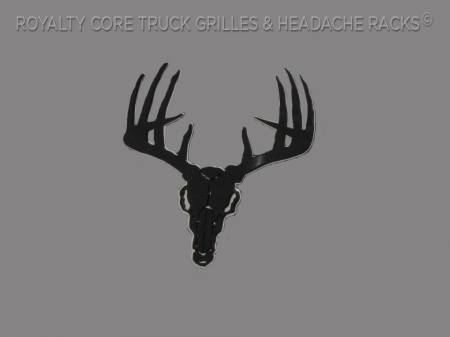 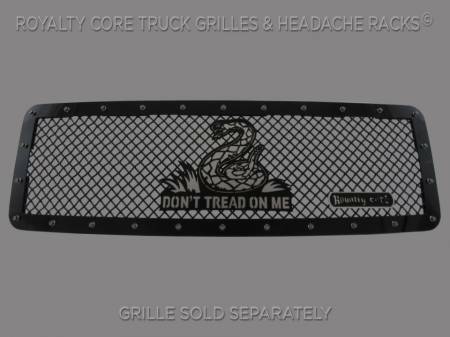 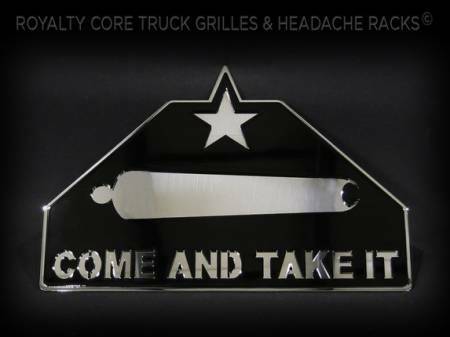 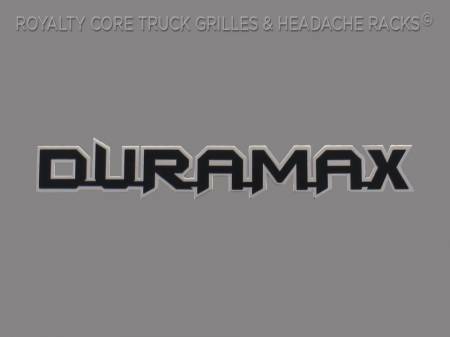 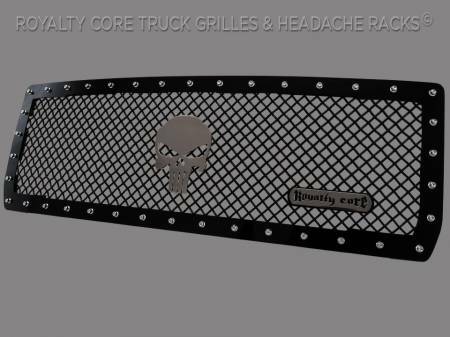 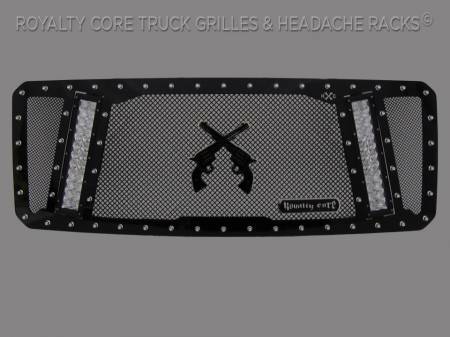 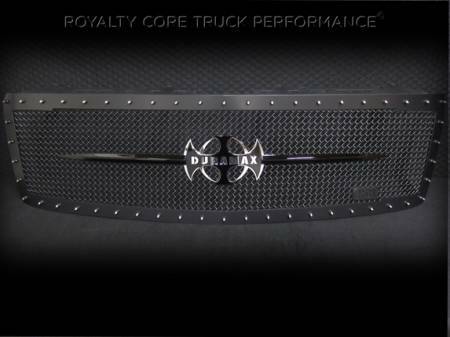 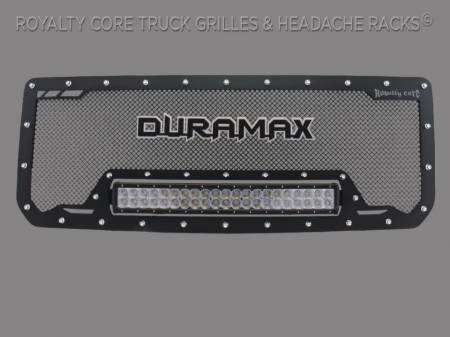 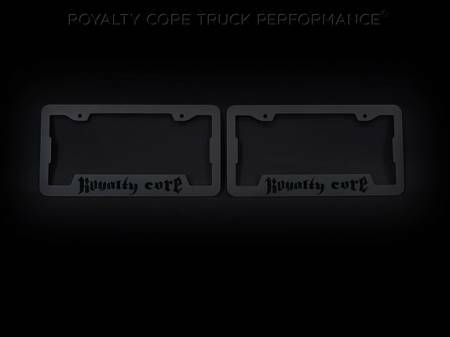 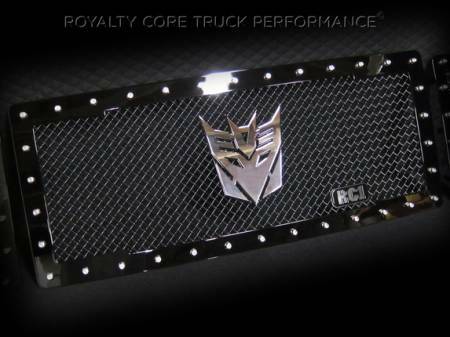 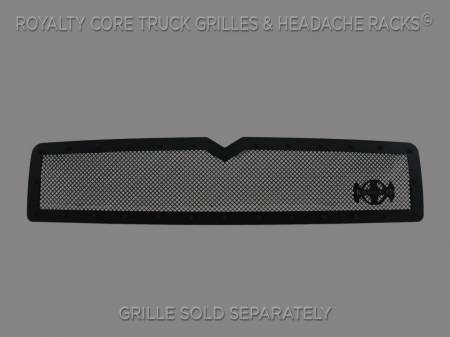 At Royalty Core, we enlist the same cutting-edge, corrosion-resistant T304 stainless steel technology we use in our renowned grilles to build our custom truck emblems. 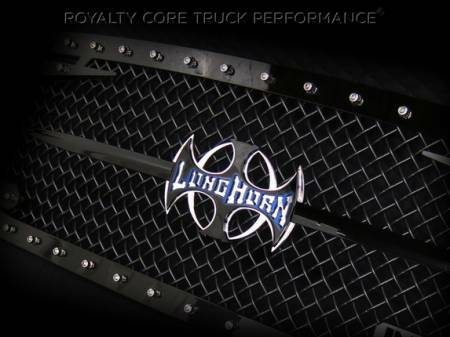 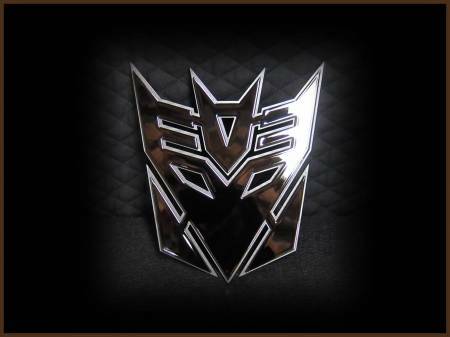 That means our emblems are just as durable as our grilles. 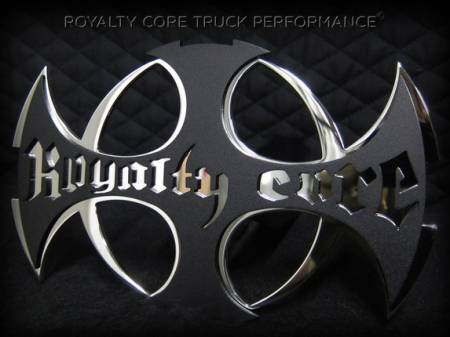 Each Royalty Core emblem is precisely cut with CNC machines, comes with an exceptionally detailed 3D design, and contains absolutely no plastic. 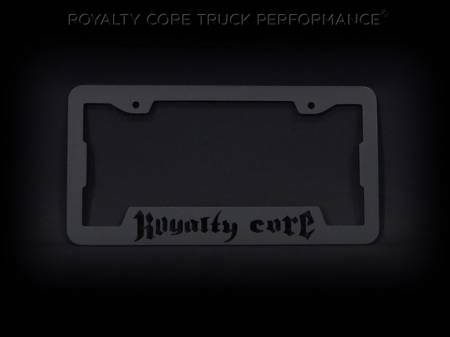 Included with all Royalty Core emblems is a hardware kit that contains stainless locking nuts for easy and secure mounting on Royalty Core grilles and other types of grilles. 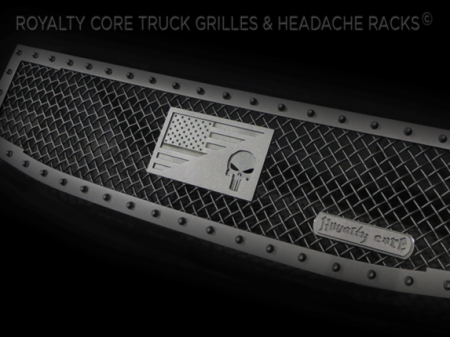 All of our emblems are handcrafted in the USA and come with a lifetime warranty. 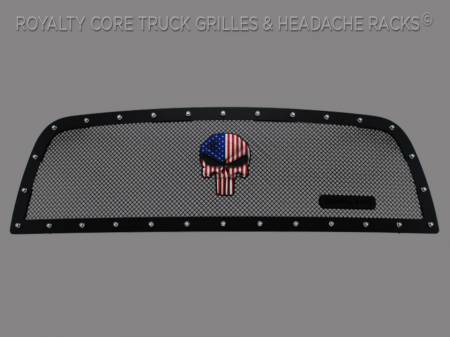 The ordering process involves choosing one of the base designs below and then customizing it with your preferred finish, size, lettering, and more. 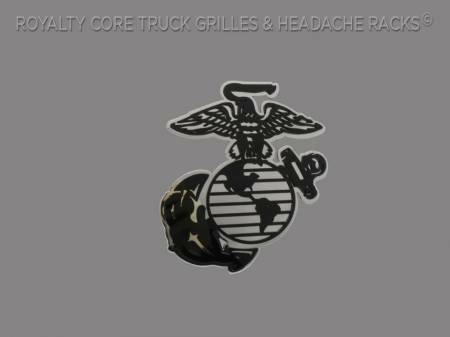 If you have any questions about our emblems, feel free to contact us.